Philadelphia building $50 million video gaming venue, first esports arena in U.S.
Video games just leveled up in Philly. 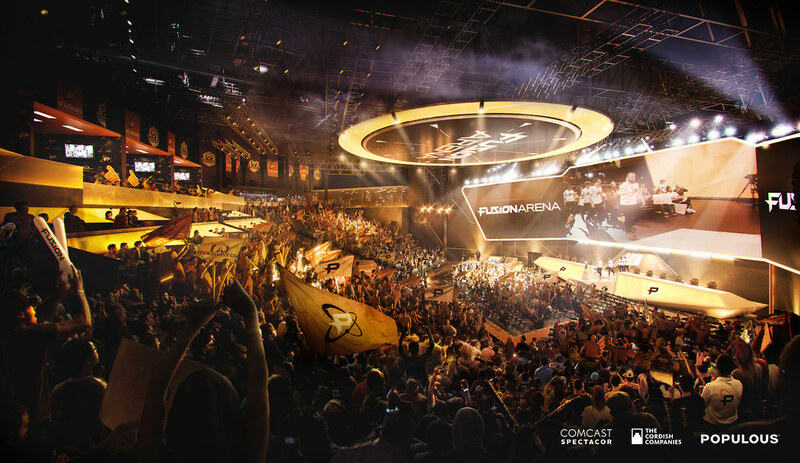 Today, Comcast Spectacor and The Cordish Companies announced plans for a $50 million, next-generation esports and entertainment venue in the heart of the Philadelphia Sports Complex. Adjacent to Xfinity Live!, the first-of-its-kind venue will seat up to 3,500 guests and stand as the largest new-construction, purpose-built esports arena in the Western Hemisphere. Its primary tenant, the Philadelphia Fusion esports franchise, is one of 20 international teams competing in the Overwatch League. The trailblazing project is a testament to the surging popularity of esports, in which highly skilled gamers compete with each other for titles or prize money before large crowds. The Overwatch League replicates the legacy professional sports model with 20 city-based franchises in China, South Korea, Canada, France, England, and the U.S., catering to local fans. 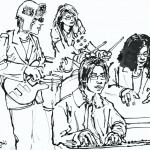 In addition to serving as a premiere destination and major East Coast hub for competitive gaming events, Fusion Arena will also host a variety of live entertainment programming and experiences. Designed by Populous, an architecture firm with deep experience in the fast-growing esports space, Fusion Arena will boast 60,000 square feet of new construction, featuring a stunning and futuristic design throughout. Comcast Spectacor, which owns the Flyers, plans to break ground this summer on part of the 47-acre stadium complex site it leases in South Philadelphia. The new arena will be built next to Xfinity Live!, within walking distance of Lincoln Financial Field, Citizens Bank Park, and the Wells Fargo Center. The technologically advanced arena will offer unique seating experiences, including two balcony bars, club seats with USB ports, flexible loge boxes, and exclusive suites. Additionally, nearly 10,000 square feet will be dedicated to a training facility, broadcast studio, and team offices. 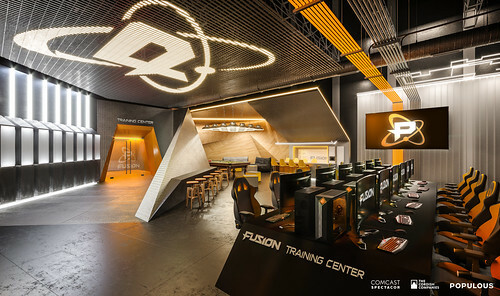 The training facility in particular separates the Fusion from the pack, offering unrivaled experiences and development opportunities for players. Overwatch League competitions – with six gamers battling six others in a survival game – are viewed over the Twitch streaming service and televised on ABC and ESPN. Activision Blizzard, which owns the “Overwatch” game, says that 40 million people play globally, including 400,000 in the Philadelphia television market ranging from Delaware and the Jersey Shore to Harrisburg. Esports no longer carries “the stigma of you in your basement,” said Phil Weinberg, general counsel at Comcast Spectacor. Tucker Roberts, the son of Comcast chief executive Brian Roberts, is president of Spectacor Gaming and the Fusion. Comcast Spectacor expects to hold about 120 events a year in the new arena, with other gigs ranging from TED Talks to electronic dance music and K-pop concerts. K-pop is a music genre from South Korea that is popular with Fusion fans, Comcast Spectacor officials noted. The Fusion Arena is looking to sell naming rights to the venue. Like other teams in the Overwatch League, the Fusion are playing this year at Johnny Carson’s former studio in Burbank, California, now called Blizzard Arena. 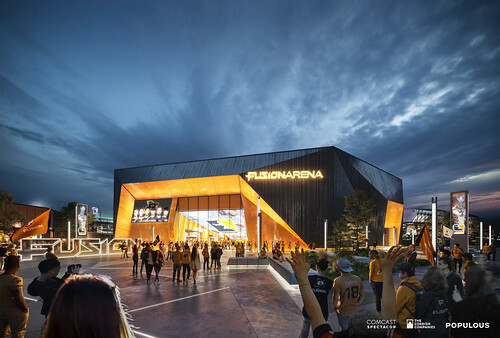 Ticket prices for the Fusion Arena have not been determined, and about 15 percent of the Fusion Arena has been designed with premium-priced luxury seating and suites, officials said. Next year, the Fusion team will relocate from California to Philadelphia and compete in temporary venues for a year. Those locations could be the 2300 Arena in South Philadelphia and Boardwalk Hall in Atlantic City. The Fusion Arena is expected to open in early 2021. Details for Fusion Arena arrive as the Wells Fargo Center is in the midst of “Transformation 2020,” an extensive multi-year $250 million renovation initiative. Fusion Arena adds $50 million of new development within Philadelphia’s Sports Complex, complementing a transformed Wells Fargo Center, Lincoln Financial Field, and Citizens Bank Park. Fusion Arena is the second of several announcements surrounding Comcast Spectacor and The Cordish Companies’ real estate development within the Philadelphia Sports Complex, adjacent to Xfinity Live!. In February, the partnership announced plans for Pattison Place, an $80 million, new construction Class-A office tower. Since opening in 2012, Xfinity Live! has been a prominent dining, entertainment, and hospitality anchor for the region, dramatically changing the fan experience for Flyers, Eagles, Phillies, and 76ers fans, as well as out-of-town guests. Welcoming millions of visitors a year, Xfinity Live! has energized the Philadelphia Sports Complex via year-round events and experiences, including concerts, festivals, family fun days, community functions, charity events, and watch parties.